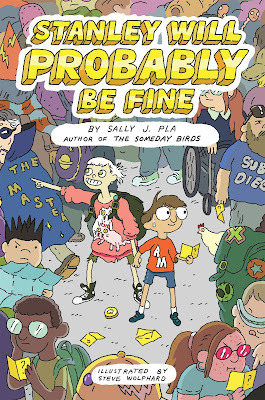 Today we are thrilled to host Sally J. Pla, middle grade author of THE SOMEDAY BIRDS, published in 2017 by HarperCollins, and STANLEY WILL PROBABLY BE FINE, publishing February 6th, 2018. Today, Sally is here to share her perspective on reaching readers. Stay tuned for a giveaway of both books below! As a kid, I wasn’t a talker. Silence was my friend. Except for around a few “safe” people – my family, a friend, a cousin -- I never said a word. I was a kid who always knew answers in class, but never raised my hand; who sat in the back, hid at recess, and fantasized about invisibility cloaks long before Harry Potter. I loved to read, though. And for some reason, I loved… professional ice hockey. When I was eleven, I could have told you every statistic for every player on the New York Rangers or the Montreal Canadiens, my two favorite teams. In sum, I was an odd kid. Today, I might have been flagged for autism testing, but back in the dark ages of the 1970s, no one knew about such things, so I just straggled along as best I could, holding my nervous stomach and guarding my silence. Our teacher’s name was Mr. Simpson. He wore jeans and motorcycle boots – radical attire in the era of suits and ties. He had a handlebar mustache and drove a powder-blue Mustang convertible. Even I knew that was cool. And during free periods, he’d play piano, always with his eyes shut, as if he forgot we were listening. Oh, but we were definitely listening. He was chill, laid back, real. Mr. Simpson talked to us as if we were grownups, which blew our collective minds. He was a renegade who engaged us every way he could -- through art, music, poetry, fiction, math, science, nature, and sports. One day, he wrote the lyrics to a Carole King song on the board. My life has been a tapestry of rich and royal hue. He twirled his chalk and said, “What does she mean?” We dissected lyrics, line by line, until suddenly everyone understood how symbolism worked. It was a giant Eureka moment. I still remember that joyful jolt of comprehension. The last thing I wanted to do was to hold onto that kid. I wanted to ditch her fast, and become someone popular, whose heart didn’t race, whose tongue didn’t stumble. But being twelve is a magic time… Add the right ingredients -- a sudden change or challenge, or a special teacher -- and deep, deep drama can happen. Twelve is an age when the scales fall off your eyes and you see glimpses of the world as it really is for the first time. It’s when your heartstrings get tuned up to more exquisite, yet more painful, pitch. Twelve is the epic age when you get unstuck from your family moorings, lose your way, gain new fears, confuse yourself, find yourself, start to change, start to morph… Maybe, if you’re lucky, start to bloom. When I was twelve, in that class, I blossomed. I started talking. I made friends. I wrote a 42-page story, and belted out “Proud Mary” in the school musical. I wrote for the yearbook, read a medical encyclopedia (thinking I might be a psychiatrist, in case the hockey statistician thing didn’t work out), and finished most of the seventh grade math curriculum. My sixth grade year was my own personal Flowers for Algernon. I don’t know how Mr. S. created the proper conditions. It does seem like magic, looking back. Who was that girl, the one who appeared that year? She went right back into her shell, once she hit junior high. But sixth grade? Wow. Now that I am writing books for middle-graders, I think about Mr. Simpson a lot. I think that perhaps he is WHY I am writing books for middle graders. I’m trying hard to share that message, especially with the kids who are afraid of the bus. The ones who can’t kick the soccer ball worth a darn. They’re my homeys. They are standing right there on the cusp of their own blossoming. (It can happen!) I want to show them a glimmer of their own potential, of the great uniqueness of them, of what they could maybe offer this rough but beautiful world. Because there’s some kind of crazy magic inside us humans. There is! And hey, Mr. Simpson. If by some miracle, you’re out there reading this? Thanks for the best year ever. 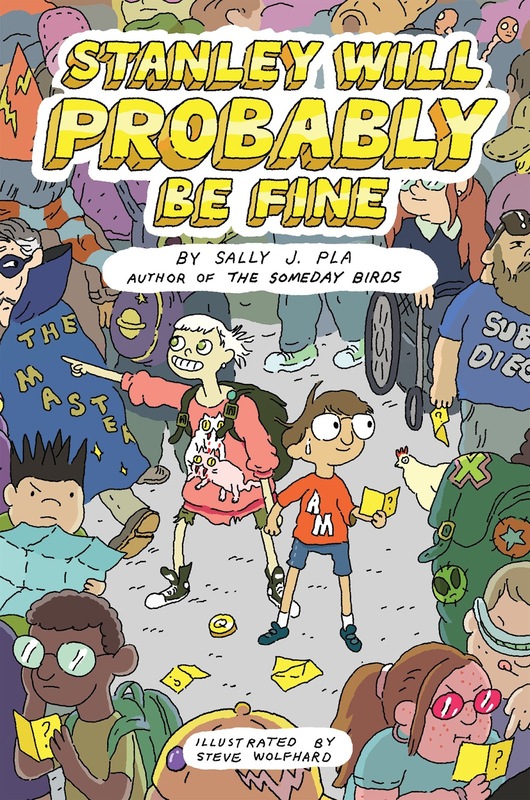 Here's the scoop on Sally's new book, Stanley Will Probably Be Fine! Nobody knows comics trivia like Stanley knows comics trivia. It’s what he takes comfort in when the world around him gets to be too much. And after he faints during a safety assembly, Stanley takes his love of comics up a level by inventing his own imaginary superhero, named John Lockdown, to help him through. Sally J. Pla is the award-winning author of THE SOMEDAY BIRDS. 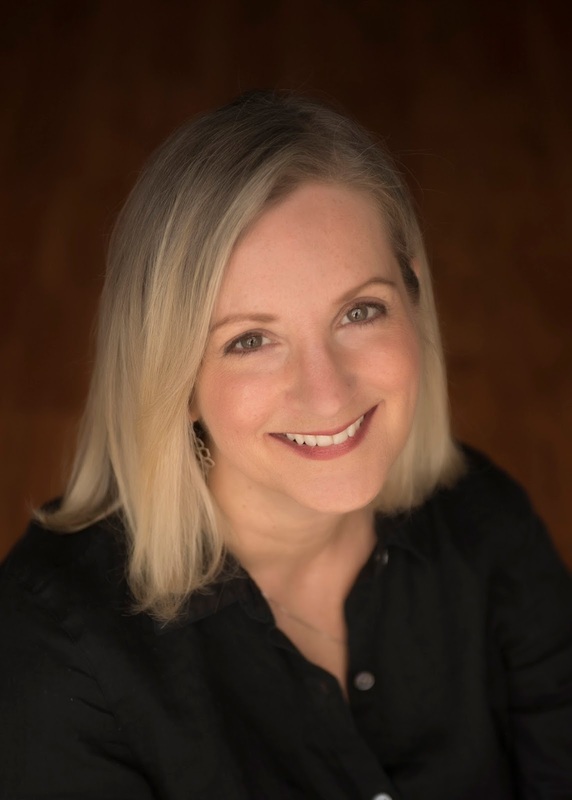 Her second middle-grade novel, STANLEY WILL PROBABLY BE FINE, comes out tomorrow (Feb 6), and her first picture book, BENJI, THE BAD DAY, & ME, will release later this year. She’s worked as a journalist and in public education, and now lives with her family near lots of lemon trees in Southern California, where she’s hard at work on the next book. "Tell us about someone who inspires you!" When I was little I wanted to be just like the actor Ian Carmichael as Lord Peter Wimsey. I LOVED that series and character! The person that inspires me is Cheyanne Young, a YA author who has gone through major medical issues, but still stays positive and creative. I will have to read her - thanks for the recommendation! There isn't just 1 person who inspires me. My ELLs inspire me. They push me to be the best I can be! I've got to say it's not 1 person who inspires me. The other day a student book talked a book and the mom texted me and told me thank you for breathing life into her daughter's reading life. Today I received a not from a former student who is at another campus asking to borrow a book that I had. That inspires me to keep doing what I'm doing.